The Giorgio Armani Lip Magnet is a liquid lipstick which delivers intense colour and a lightweight matte finish due to an innovative formula made of water, oils and pigments. I’ve had the pleasure of testing out 6 out of the 18 shades available in the range and I am well and truly impressed by them! In a nutshell, lip magnets have a clever and complex technology whereby the oils and the pigments fuse together when the water evaporates from the lipstick, leaving the lips feeling super soft, totally weightless and a super vibrant colour, which intensifies even more once the lip magnet sets on the lips. Have a look at the video above to see swatches of all 6 Lip Magnets on my lips and a mini review. You can really see how the application is so smooth and how nourishing they look on the lips. I just want to point out that although they look quite glossy and shiny, they do indeed dry to a matte finish, but it takes a couple of minutes to do so. I was in a bit of a rush to finish that video, so I couldn’t wait for them to dry before moving on to the next swatch. Sorry! What I find most amazing and unique about these liquid lipsticks is how they don’t dry out my lips at all, yet they set to a highly pigmented matte finish. Every single other liquid lipstick I’ve tried so far has left my lips feeling dry and looking flaky to a certain degree, including the ColourPop Ultra Matte Lip and the NYX Soft Matte Lip Cream. 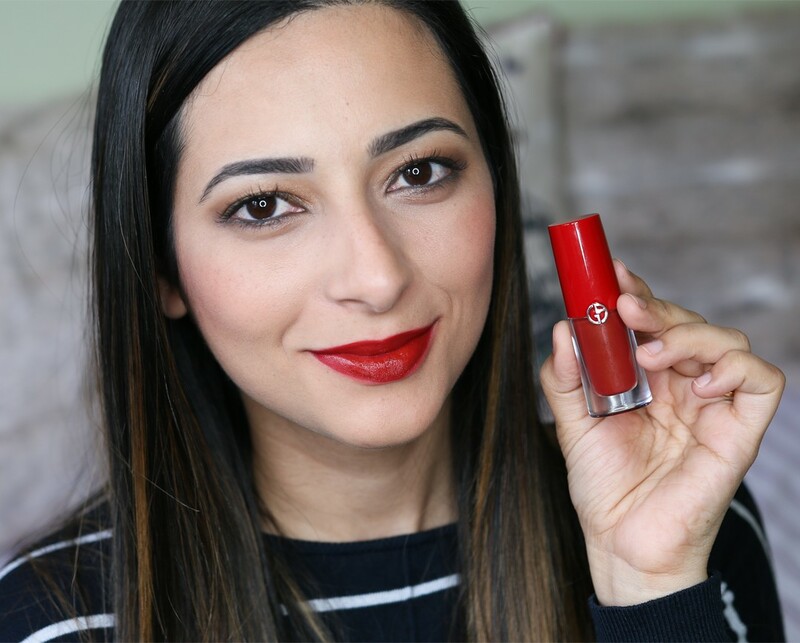 The Giorgio Armani Lip Magnet has a clever little applicator which makes it so easy to get into the corners of your mouth with precision and I find that I make fewer mistakes than with a traditional liquid lipstick applicator. It’s also quite forgiving during application, so you can correct any little mishaps before the lipstick dries and sets on your lips. However, when it dries, it dries to a lovely matte finish and the colour is twice as intense. Some of the shades stained my lips, even after I tried to remove the lipstick with a makeup remover wipe, which I think is rather nice, as it helps the colour fade evenly. 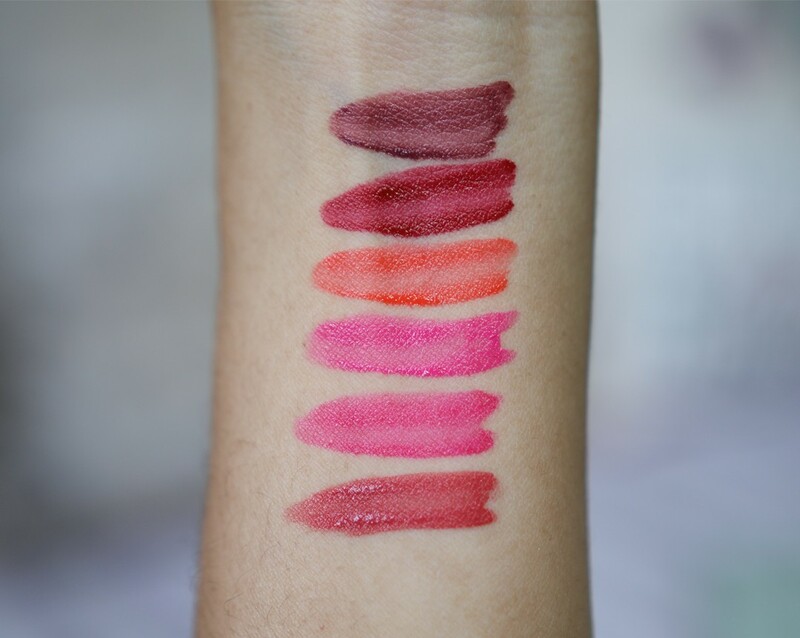 They are supposed to last up to 8 hours on the lips, but I found that it varies depending on which shade you choose. The shade 505 Second Skin was the easiest to remove and the least long-lasting, whilst 500 Maharajah and 501 Eccentrico lasted the longest and needed a proper makeup cleanser to remove everything off my lips. These are by far the best liquid lipsticks I have ever tried and they tick all the important boxes for me. I find myself reaching for them almost daily, and the shades 601 Attitude and 403 Vibrato are my go-to Autumn/Winter shades for this year. I’ve had so many people asking me what I’m wearing on my lips recently, and 9 times out of 10 is one of my six Lip Magnets. The Giorgio Armani Lip Magnet is available now from Selfridges and it will be available nationwide from the 26th October 2016. Each liquid lipstick retails for £27, which is rather steep for a lipstick, but in my opinion you get what you’re paying for. The luxury formula and feel, the high pigmentation, the weightlessness and the comfortable feel on the lips. You also get a wide range of shades from nudes to deep berries, which is guaranteed to suit most people’s tastes. 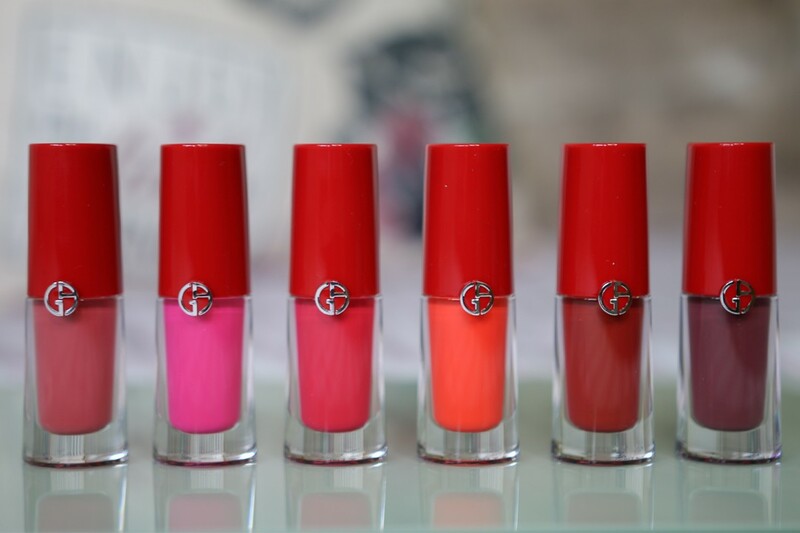 I would love to hear your thoughts on the Giorgio Armani Lip Magnets and if you have a favourite liquid lipstick, please do share below. I really want to expand my modest collection! Thank you for the swatches and video. I’ve been waiting with bated breath for these lovelies for too long. I have to say that 500 and 403 with one coat is gorgeous on you. And will be okay on me ;-) You are so lovely. Just like my daughter. Again, thanks for the assistance. You pushed me over the edge to buy and with confidence. Like your video :). 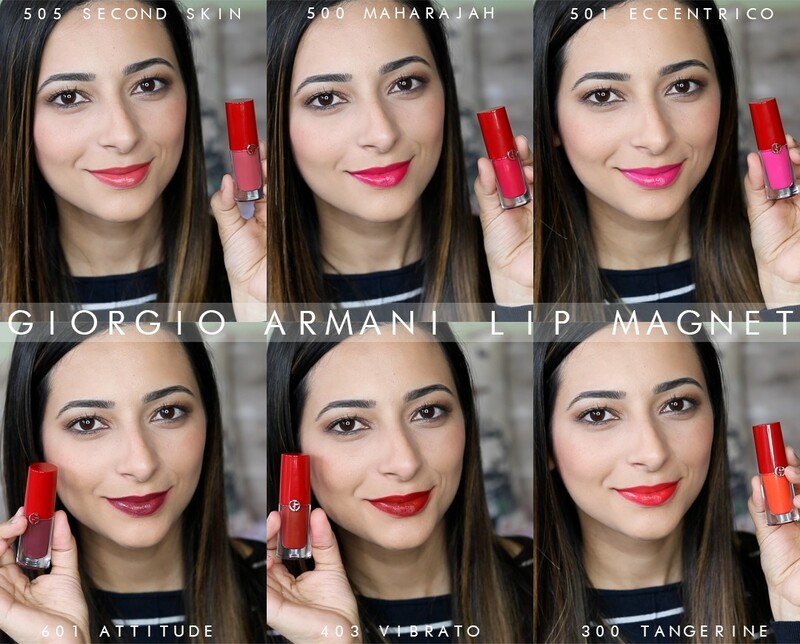 I am searching with now for the Armani Lip Magnet since my shop where i used to buy don’t have it any more ….